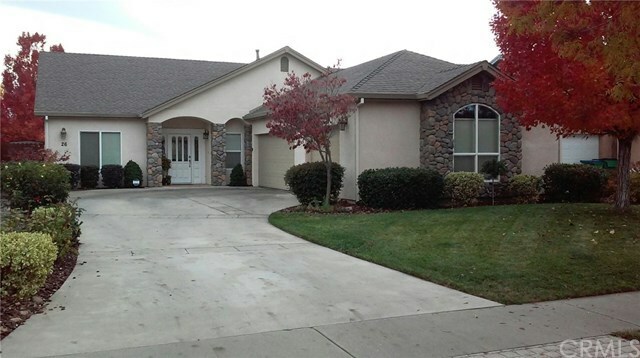 Spacious 4 bedroom home, located in a quiet (almost private) cul-de-sac in Chico. From the semi-custom features like the classy Wanes Coting in the vaulted entry and Granite countertops in the kitchen, to the Large 3 car Custom Garage â this home is one that you will be proud to welcome family and friends for years. Additionally, the interior walls and ceilings have recently been painted as well as the exterior eves. The home is turn-key (3 of the room pics were not included for online privacy purposes). Stop by and enjoy the beautiful fall colors displayed in the Maple trees in the front and back yard. Note: the owner would consider selling the home Fully Furnished.